Mr. Coffee Pour! Brew! Go! 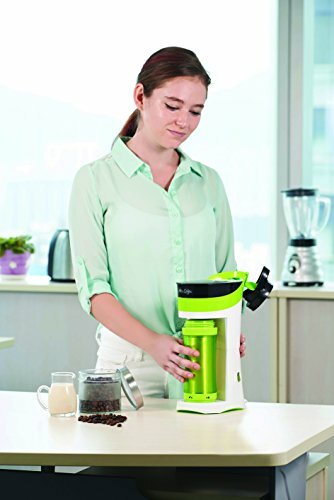 Personal Coffee Maker, Sour Apple Green. The Mr. Coffee Pour! Brew! Go! Personal Coffee Maker will allow you to quickly brew your morning joe and get out the door in a flash. 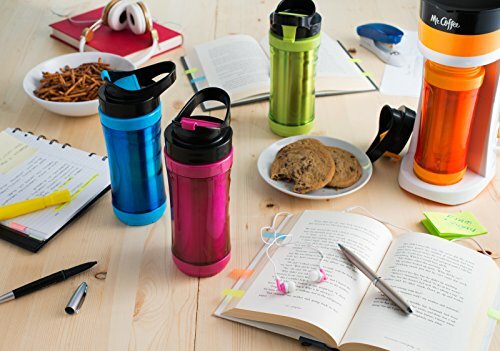 It even includes a colorful insulated travel mug that’s just the right size. 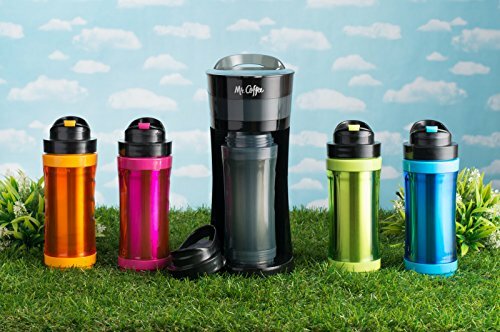 No need to buy expensive pods—this portable coffee maker brews your favorite loose coffee grounds. Mr. Coffee Pour! Brew! Go! 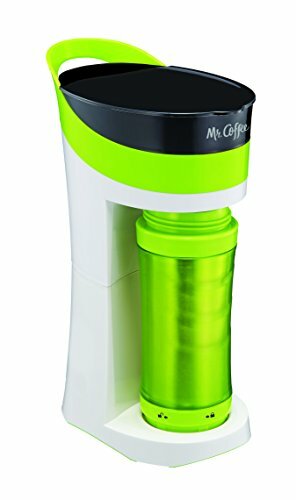 Personal Coffee Maker, Sour Apple Green: kitchenaid personal coffee maker, oster mybrew personal coffee.